In partnership with our regional partners and the strong professional schools at IU Bloomington, we’re working to develop a sense of regionalism in the region through capacity, infrastructure, and leadership development programs. 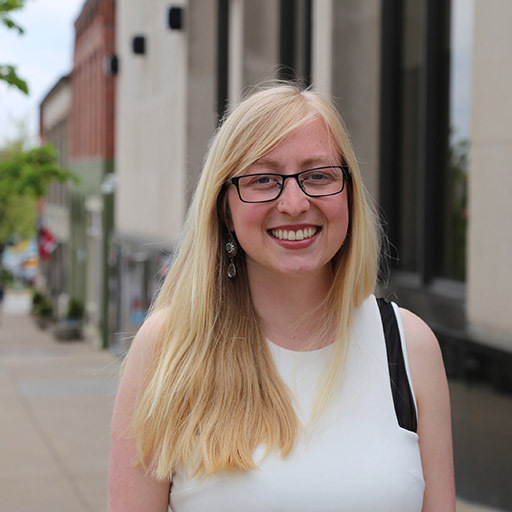 Lauren Travis, in collaboration with her School of Public and Environmental Affairs classmates, helped the City of Bedford create a Complete Streets proposal to increase the walkability and accessibility of streets and sidewalks. The class prepared case study materials, visited sites, and held a town hall meeting to learn more about needs and concerns related to roadways in the city, and through a community meeting process, the class learned what was most important to residents of all ages.